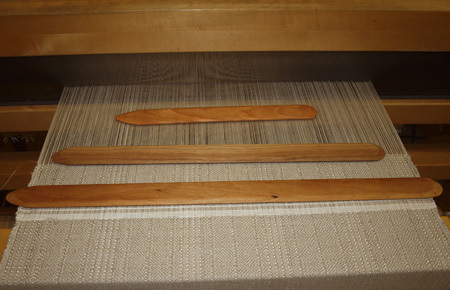 Bluster Bay is a name known for quality shuttles - these Swedish style low-profile shuttles are excellent for looms with small sheds, table looms, or simply any loom. Silky smooth, they are sensuous to the touch and glide across the web. Available in cherry or maple. 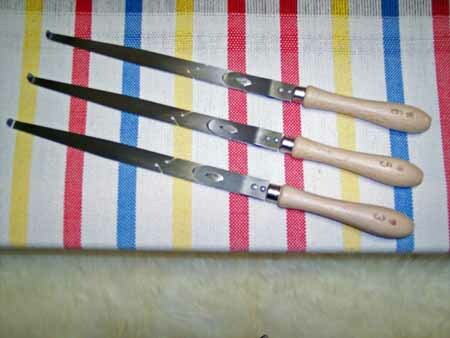 16", 14", 12" or 10"
Left: 14" closed bottom damask shuttle for 5" quills. NEW - Bluster Bay mini EFS Shuttles. 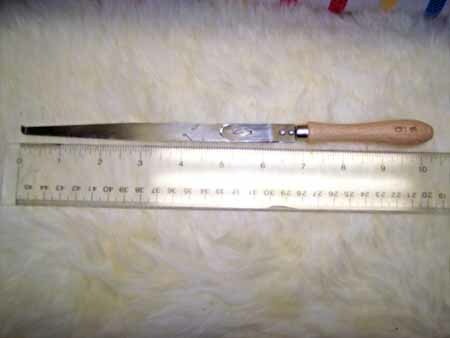 Only 11" long. 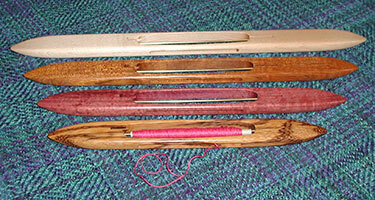 These pirns work on a thick or thin spindle bobbin winder. If you have the thin spindle, place a standard cardboard quill over the spindle and then push the paper pirn over the quill. 4" or 10" widths. Assorted wood. Beautifully sanded and beveled. Make your belt weaving speedier and more comfortable. Imported from Germany, these threading hooks are designed for looms with up to 8 shafts. 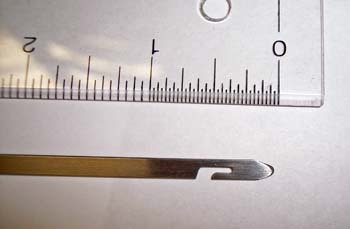 The thread hook is cut and polished, not just stamped. Your threads will NOT fall out of this hook while you are pulling them through the heddles. This is the same hook that I have used for 30+ years - wouldn't have any other. Reed Hooks imported from Germany. I "accidentally" started out with this style of hook, ordered from a supplier when I began weaving in Germany 30 years ago. Knife blade design makes them easy to hold. Slot is cut and polished - doesn't let your threads slip out. Excellent when denting more than one thread at a time. The autodenter is a specialized reed hook that when used correctly in the correct size hops to the next reed dent automatically - preventing those annoying skips that require resleying. Our autodenters come in 6 sizes. 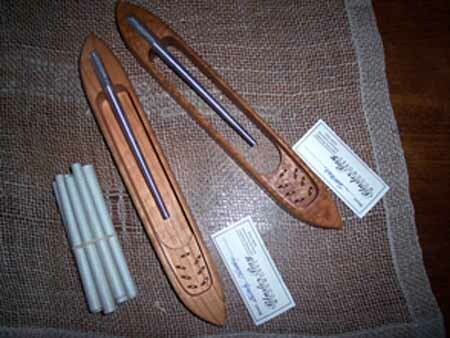 Handmade by a small German firm, they are precision tools that will improve your weaving. designed reed setting range. They are numbered from 1 to 6 (0 = the finest). Try one and see how it improves your weaving - guarantees a firm beat at the fell line across the entire reeded width, where it is most important. FITS THE DUTCH MASTER LOOM!! Handmade pickup sticks. Beautifully made - one tapered end, one rounded end. Function well as swords as well. 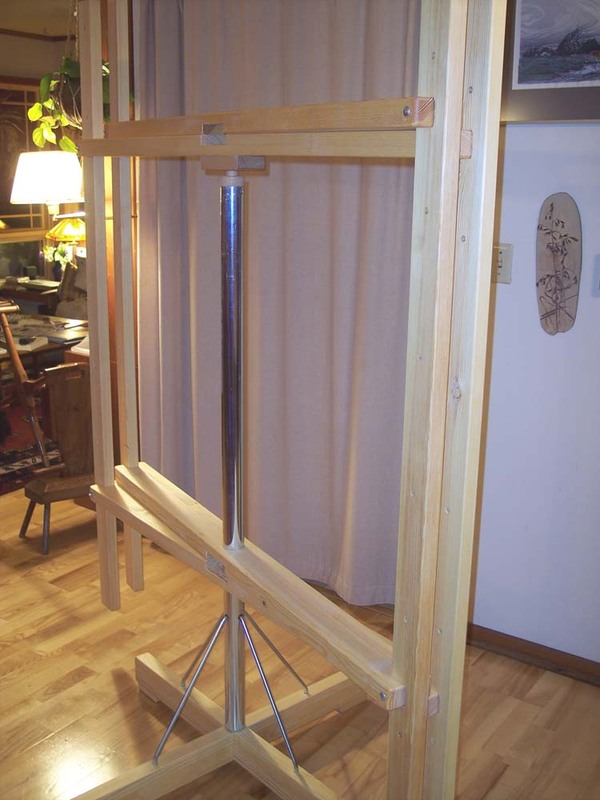 Perfect for making pattern on small looms. 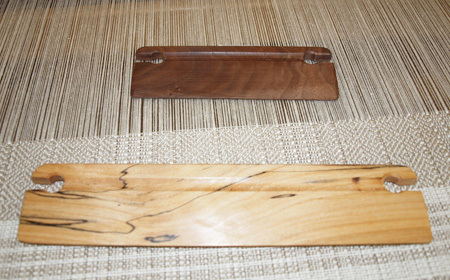 Use them on table and floor looms to pick special pattern units without redoing your project. 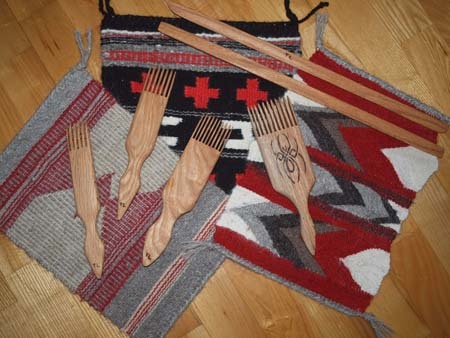 These combs and battens are suitable for any kind of tapestry or weft faced project and perfect for weaving on the Navajo loom. All combs have 4 teeth per inch. Other spacing can be ordered. These are special reeds for creating undulating or ondule effects in warp direction. Fan Reeds are special order only - for complete information, click on photo. 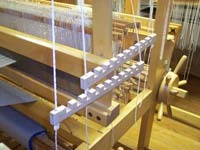 Treat yourself to warping with smooth, open movements - this large warping mill holds up to ca. 50 yards of warp - enough for your largest projects. Sturdy construction. Use with ease for all warps longer than 1.5 yards. Even for short warps, the balance and spaciousness of this warping mill make preparing warp chains a pleasant experience. 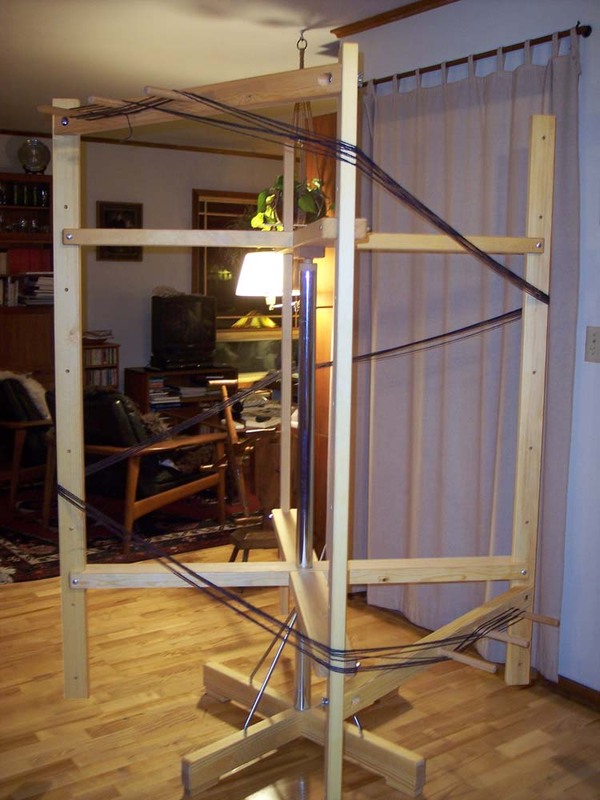 NEW - 2.5 meter table warping mill, same sturdy construction, but smaller for smaller studios. 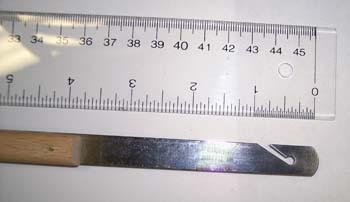 Available in 3 sizes - 1 inch, 3/4 inch, or 2cm sections. QUICK RELEASE CLAMPS to hold your raddle firmly. 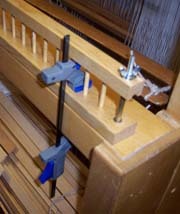 Adjustable clamps with quick release keep your raddle mounted firmly on your loom. Can be used anywhere there is a flat surface. Sheepskins for your loom bench. They feel as inviting as they look! 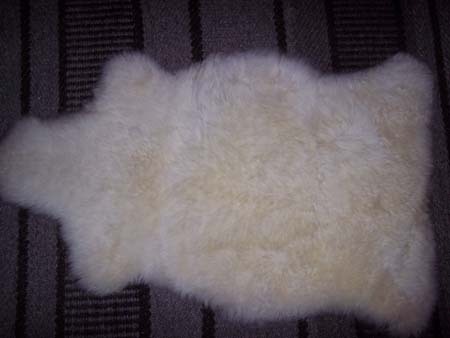 Commercially tanned sheepskins from Argentina. The leather side keeps it from slipping. The wool is warm in winter, cool in summer and provides just the right amount of padding to weave comfortably for long periods of time. Width (where you would sit on it) about 22"
Length of wool - a good 1.5"
Battery operated - 2 AA bateries (not included) make this an easy way to create nice twisted fringes. No repetitive stress motions involved. 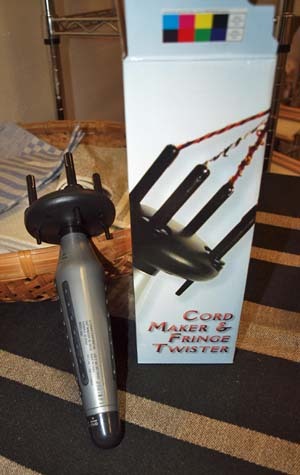 This is a new version of the old Conair hair braider. 4 prongs allow twisting 2, 3 or even 4 strands into a nice braid.